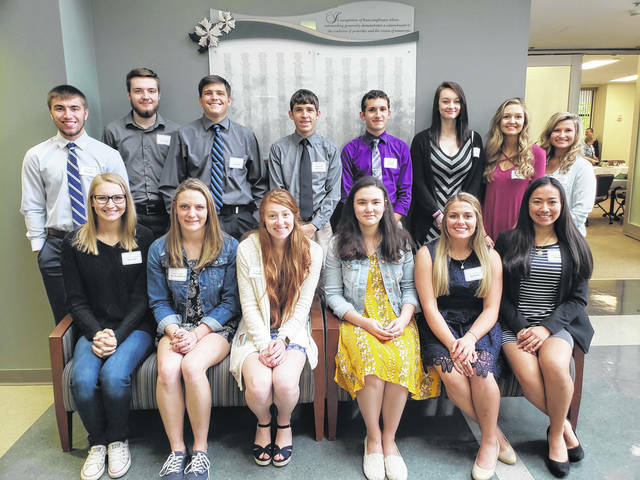 GALION — United Bank hosted the annual Academic Awards Breakfast on May 16, at Galion Community Hospital. Each year, the breakfast honors seniors from each of the county high schools. They are chosen by their administration according to their academic records, extracurricular activities and overall achievements. The speaker was Jennifer Kuns, assistant vice president at United Bank. Kuns talked to students about opportunities that Crawford County has to offer. Growing up in Gahanna, Ohio, a suburb of Columbus, Kuns said she graduated with more than 500 people and didn’t think much about volunteering her time or giving back to the community. It wasn’t until she moved her family to Crawford County that she realized what volunteerism really meant. She found that Crawford County was a community focused on giving back. It was apparent quite early that her children would have more opportunities to be involved in Galion. Kuns encouraged the students to go out and find their way, whether it is at college, in the military or the work force. Kuns encouraged students to find out who they are and where they want to serve, but to remember the community that raised them. She asked that they bring their talents back to Crawford County. United Bank President Don Stone congratulated the students on their accomplishments, challenged them to enjoy the next phase in their learning process, and encouraged them to use their talents to help make the world a better place. Given the challenges each of the students will face in the next step of their academic careers, United Bank gave each recipient a copy of the book, “Don’t Sweat the Small Stuff “by Richard Carlson, and an Amazon gift card.